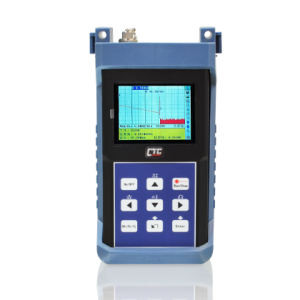 The OTDR-3028 is an OTDR (Optical Time Domain Reflectometer) based optical fault locator and analysis tool for optical fiber networks. The OTDR-3028 supports Single mode 1310nm, 1550nm with Dynamic Range 28/26dB.The OTDR features a light, compact, hand-held design with an intelligent user interface that is easy and quick to use. The color LCD display with bright backlight makes testing work more comfortable and convenient, whether during daylight or in low light conditions. 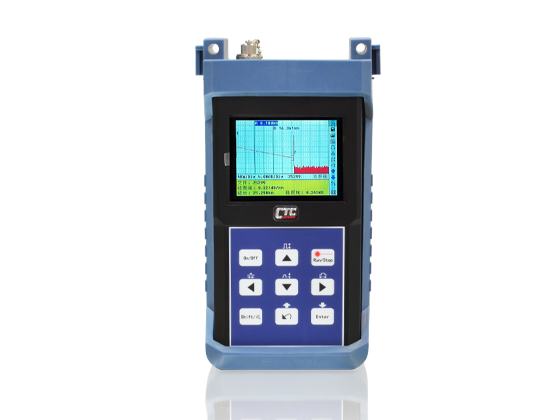 As a fault locating and analyzing tool, the OTDR-3028 is much more economical than traditional OTDRs. In addition to its 1000 plus internal curve storage, the OTDR-3028 can save and transfer the measurement curves data to a PC via serial or USB port for further analysis or printing with Window based “Trace Manager” software. When set in auto measurement mode, the user can activate the measurement operations easily by the push of only one button. The OTDR-3028 is ideal for optical fiber installation, maintenance, field construction, and other on-site fault-location analysis.